Rhode Island Car Accident Lawyer | "What to do After a Car Accident"
It may seem pretty easy to remember all of this while you sit here and read it, but when you’re in an accident, injured, confused, and upset, your memory may not be so good. Keep in mind that an experienced, knowledgeable car accident lawyer can help you through this difficult time. If you live in the Chattanooga, Tennessee area and have been involved in a car accident, please visit Wagner & Wagner Attorneys at Law online today to learn how our Chattanooga car accident lawyers can help you. Thanks for sharing. It is important for all drivers to know what to do in case of an accident. Laws regarding insurance and car accidents vary from state to state, so it is important to contact your insurance agent who can provide you with details on your coverage and how to proceed in a situation like a car accident. 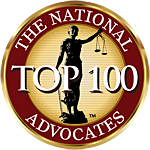 If you feel like you are not receiving adequate information, then I recommend finding a lawyer in your area that you can trust to represent you.